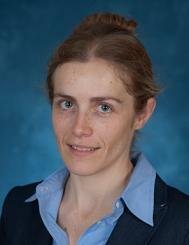 Pascaline Dupas is an Associate Professor in the Economics Department at Stanford University. Dupas' areas of research are applied microeconomics and development economics. She is currently conducting field experiments in health, education, and microfinance. Pascaline is a Co-Chair of J-PAL's Health sector. Pascaline earned her PhD from EHESS and PSE-DELTA in France. Ideas help no one on a shelf. Take them to the world. What happens when you approach global poverty as a science experiment? What Lessons Can Schools Learn From Streaming by Ability?